Continuum Philosophical Insight provides a variety services to our clients: the guided development of philosophical habit for individuals, online seminars that guide participants through philosophical texts and issues, online courses which focus on philosophical topics over fourteen weeks and include regular correspondence and graded assignments, and, finally, theoretical consultation for organizations: businesses, institutions, research groups, non-profits, and so on. Although these services may circle around particular issues, thinkers, or philosophical texts, each is ordered towards bettering our understanding of human life. While logical acumen, rhetorical talents, and both broadening and deepening of knowledge are effects of philosophical inquiry, the point remains the discovery of truth for the sake of ordering our lives. I. What does it mean to be human? III. How do we know what is right to do? IV. What are our roles in society? V. How can we be good persons? VI. How can we be happy? 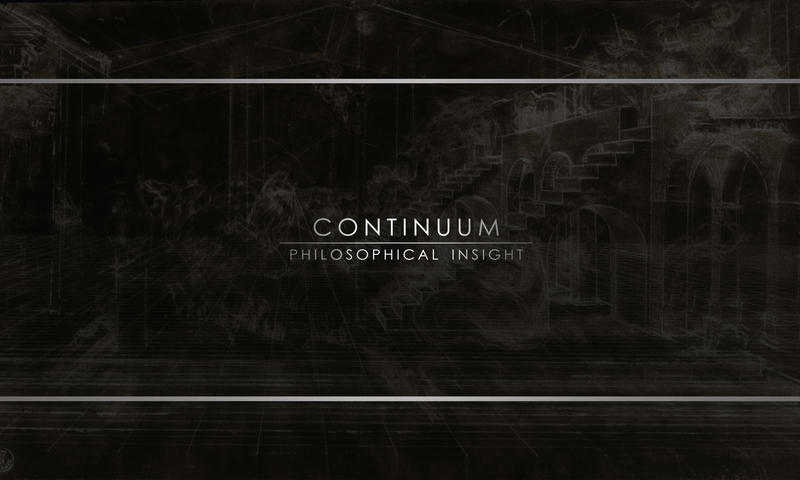 Although one may begin his or her philosophical approach through any of the six, Continuum sees these questions as distinct but related parts of the same whole. Every philosophical inquiry remains fundamentally incomplete (that is, incomplete in its basis and not just in the never-ending quest for understanding that characterizes philosophy as a whole) so long as it ignores one or more of these foundational issues. Thus, in both individual approaches, group seminars or classes, and even theoretical consulting, these questions are liable to arise in one or another manner.